Andrea W. Mates is an Assistant Professor in the Department of Communication at Rutgers University, USA. She is co-author of The Interactional Instinct, with Namhee Lee, John Schumann, Anna Dina L. Joaquin, and Lisa Mikesell. Lisa Mikesell is Assistant Professor in the Department of Communication at Rutgers University. Michael Sean Smith is a doctoral student and is currently completing his PhD the Department of Applied Linguistics at the University of California, Los Angeles. In the past before improving technologies allowed for the direct observation of brain activity, brain damaged patients were a prime avenue for understanding language structure and inferring back to brain function. Now with the rapid developments in neuroscience, what has been discovered about the brain can inform our view of language allowing us to build hypotheses about the role particular brain regions perform in language use. Brain damaged patients thus become populations which serve as test cases. While technologies in neuroscience have improved, so has our understanding and techniques for observing and analyzing social and communicative behavior. FTD patients have right hemisphere, frontal and temporal pole atrophy which leaves their cognitive abilities intact, but their social interactions impaired and their personalities changed. 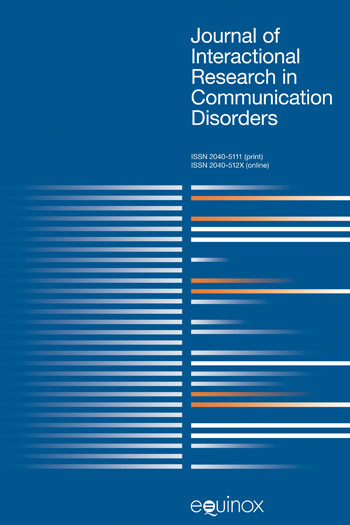 The description of FTD as a pathological change in social behavior provides the motivation in this volume to apply ethnomethodological and conversation analytic approaches to the organization of patients’ interactions. These approaches do more than document the disease and its effects on loved ones by revealing phenomena that can be analyzed empirically as causing systematic changes in the patients’ social interactions. This volume opens with a discussion of the frontal lobes and their expected involvement in language use and social interaction. Several chapters then use conversation analysis to examine a range of FTD social behaviors in real-world interactions both in and outside of the clinic. The remaining chapters show how the ethnomethodological approach applied throughout the book can be helpful in better understanding the neurobiology of discourse, the process of socialization, and the role of social motives and moral emotions in maintaining relationships. NEW IN PAPERBACK EDITION PUBLISHED DECEMBER 2013 In the past before improving technologies allowed for the direct observation of brain activity, brain damaged patients were a prime avenue for understanding language structure and inferring back to brain function. Now with the rapid developments in neuroscience, what has been discovered about the brain can inform our view of language allowing us to build hypotheses about the role particular brain regions perform in language use. Brain damaged patients thus become populations which serve as test cases. While technologies in neuroscience have improved, so has our understanding and techniques for observing and analyzing social and communicative behavior. FTD patients have right hemisphere, frontal and temporal pole atrophy which leaves their cognitive abilities intact, but their social interactions impaired and their personalities changed. The description of FTD as a pathological change in social behavior provides the motivation in this volume to apply ethnomethodological and conversation analytic approaches to the organization of patients' interactions. These approaches do more than document the disease and its effects on loved ones by revealing phenomena that can be analyzed empirically as causing systematic changes in the patients' social interactions. This volume opens with a discussion of the frontal lobes and their expected involvement in language use and social interaction. 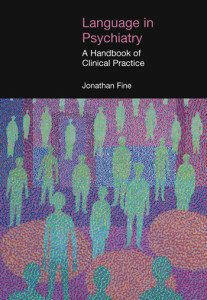 Several chapters then use conversation analysis to examine a range of FTD social behaviors in real-world interactions both in and outside of the clinic. The remaining chapters show how the ethnomethodological approach applied throughout the book can be helpful in better understanding the neurobiology of discourse, the process of socialization, and the role of social motives and moral emotions in maintaining relationships. In this introductory chapter, the authors present the reasons that lead them to begin the research explores in this volume. In this chapter, social regulation is construed not as a single psychological construct but involves a number of different cognitive and emotional processes (Baumeister and Heatherton 1996; Beer and Ochsner 2006; Gross 2001; Lieberman and Pfeifer 2005). Some of these processes are predicated on the perception and monitoring of one’s self. Other processes are predicated on the other individual in a social dyad, such as considering or imagining what the other knows or may be thinking. The purpose of this chapter is to determine if FTD does cause a breakdown in the moral order of interaction, and if so, examine how that occurs procedurally through others’ actions in relation to the patients. Before attempting this, it will be necessary to discuss the assumptions for how morality will be expected to appear in the data and the limits and strengths of the analysis. This chapter aims to explore the nature of a patient’s inappropriate behaviors in interaction, focusing on perseverative behaviors; to document how caregivers attempt to manage inappropriate behaviors and how such attempts influence the interaction and to consider the nature and extent of the responsibilities taken on by caregivers and other interlocutors when FTD patients do not adhere to social expectations, and how these responsibilities may contribute to the stress of being an FTD caregiver. This chapter considers how clinicians attempt to locate insight (or its loss) through question design during medical interactions and how patients do or do not demonstrate insight through their responses. Through a detailed analysis of one doctor-patient interaction, which highlights the complex interactional manifestations of insight, this chapter will consider the fact that the current clinical definition for “early loss of insight” may be an insufficient diagnostic criterion. In this chapter, the author will first review how normals (people without neurological deficits) organize their third-person, person reference formulations (PRFs) when talking about photographs. Then the author presents both the ways in which FTD patients conform to and depart from those norms. Finally, the problems these FTD patients present with in their PRFs will be used to build a potential neurobiological account for third-person, person reference in interaction. Anna Dina L. Joaquin is Assistant Professor in the Department of Linguistics and TESL at California State University, Northridge. She is co-author (with Namhee Lee, Lisa Mikesell, Andrea Mates and John Schumann) of The Interactional Instinct: The Evolution and Acquisition of Language (OUP, 2009). This chapter looks at the prominent role of the prefrontal cortex in social behavior, and suggests that it is a neural mediator for the processes of socialization. This will be demonstrated by comparing the behaviors of two seemingly different populations in naturally occurring environments. The first population will be children, who have prefrontal cortices that have not fully matured. With ethnographic data, the author will show how society’s socialization practices work to educate, enculturate, and socialize this part of the brain. The second population, patients diagnosed with FTD, has deteriorating prefrontal cortices, associated with a decreasing ability to implement socialized behavior. This chapter proposes three interconnected theses. The first is that the behavioral variant of frontotemporal dementia is the result of loss of social motives and moral emotions, while other non-social motives and emotions and most other components of cognition remain intact. The second thesis is that the heuristics and biases of human reasoning make it impossible to sustain meaningful social relationships in the absence of social motives and moral emotions. Social motives and moral emotions are adaptations that evolved because they enable people to sustain important relationships. Studies of the conversations of FTD patients, together with participant observation, demonstrate what happens when social motives and moral emotions fade away. The analyses of the neurobiology of these patients reveals that intrinsically motivated relationships cease to function when the right orbitofrontal cortex and right temporal pole degenerate. Professor Schumann’s interests lie in language acquisition, the neurobiology of language, and the language evolution. He was a Peace Corps volunteer teaching English in Iran, and after finishing his service he became the director Peace Corps TESL program in that country. He later taught ESL at the junior high school level in Waltham Mass. He received his doctorate in human development from a Harvard University Graduate School of Education in 1975. He has been a professor at UCLA since that time. Professor Schumann served as chair of the Department of Applied Linguistics and TESL for 16 years. 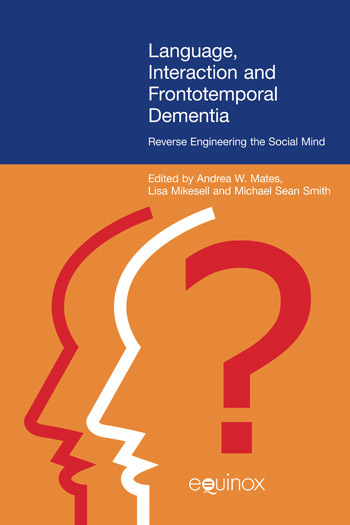 This chapter examines the conversational interaction of patients with frontotemporal dementia.